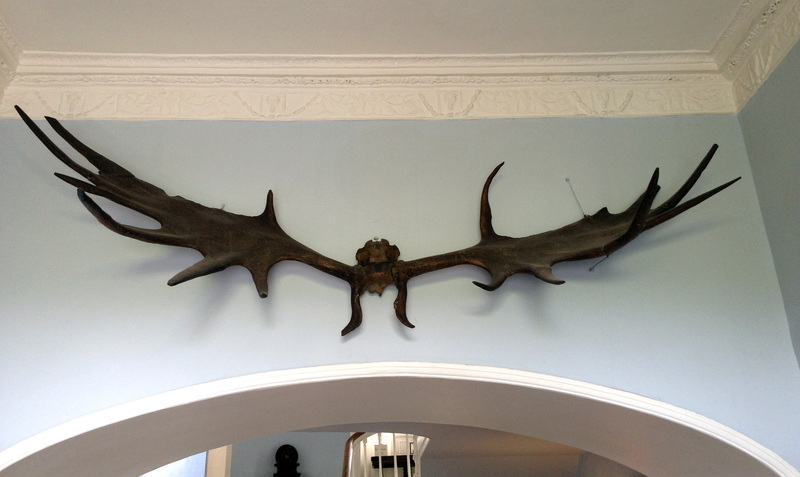 Have you seen an Irish Elk? You’d know it if you had! 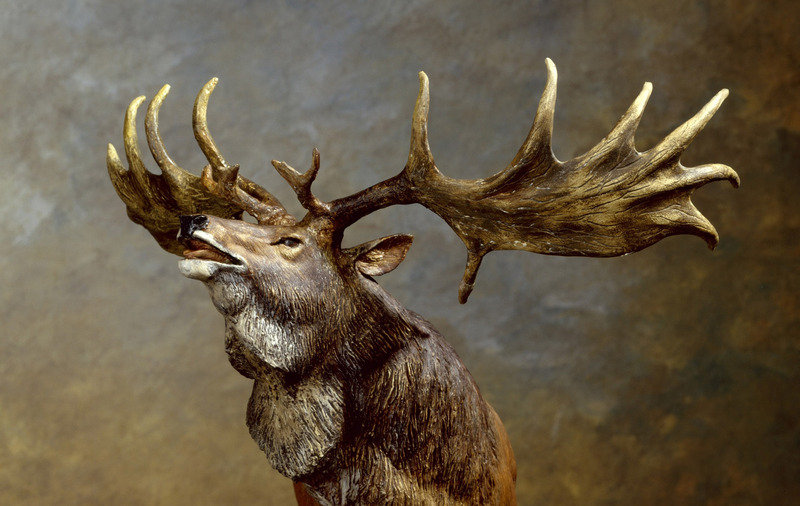 Megaloceros Giganticus stood over two metres high at the shoulders and had antlers up to four metres wide. 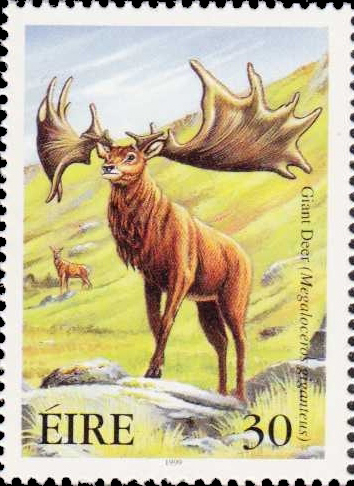 It was the largest Deer that ever roamed the Earth. It actually lived all over Europe – and in Russia and China. But the best fossilised examples have been found in Ireland, preserved in the peat bogs. 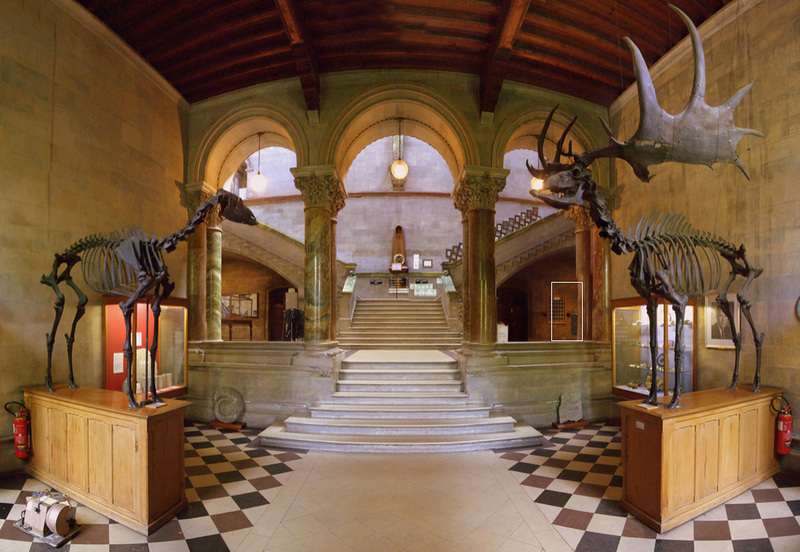 I certainly have: there are some whole skeletons in the wonderful Natural History Museum in Dublin, but their antlers hang in many a hall – by which I mean a ‘Baronial’ hall or castle. 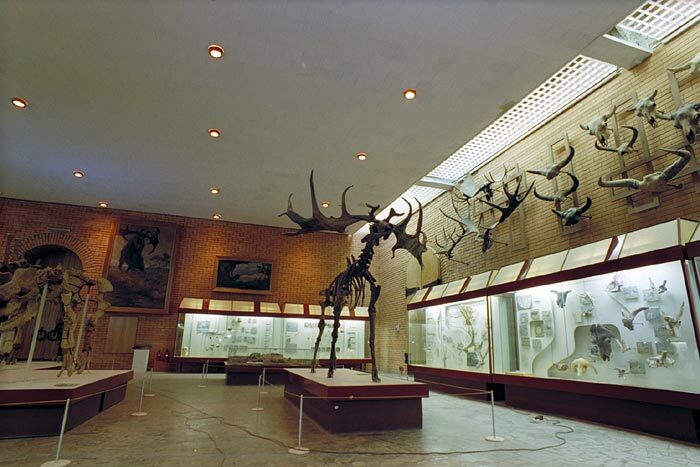 They seem to have been popular trophies to have mounted on the wall along with all the Foxes and Salmons that didn’t get away… And these ‘trophies’ became sought after in the boom years: Christie’s sold a pair of antlers for £52,850 in 2001, and another pair from Powerscourt, Co Wicklow, sold for £77,353 in 2005. But trophies means that someone would have hunted them. Surely they were never around at the same time as people? It’s a good chance they were. 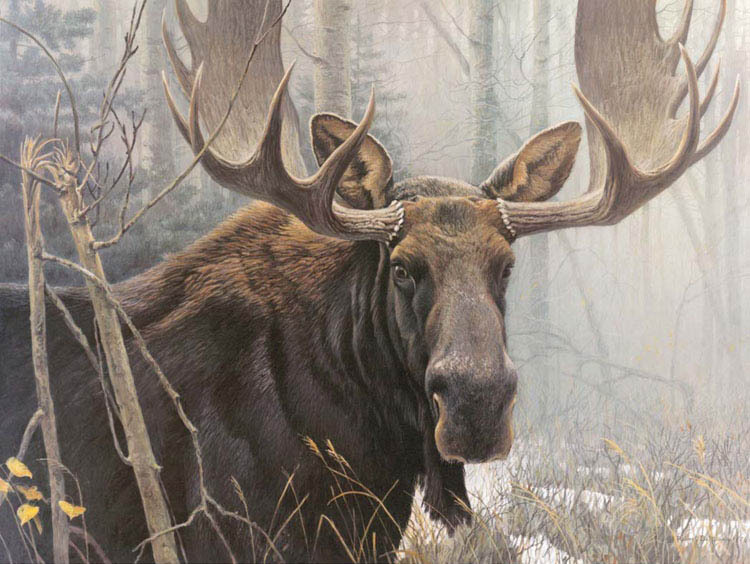 The latest dating of Megaloceros is around 5,000 BC, although others assert that they died out several Millennia before that. 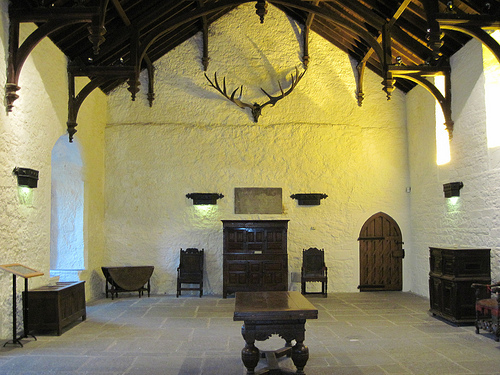 The first humans are supposed to have settled in Ireland around 8,000 BC – the Mesolithic period. And why did they die out? Yes. We saw this one at Ballymaloe – but it wasn’t on the menu! Such a shame that it doesn’t still exist. True… although it might be a bit scary if you met it on the slopes of Mount Gabriel! Along with Ireland’s last Wolf? I read that some scientists believe that if they found a good enough specimen – preserved in the permafrost perhaps – they could extract enough DNA to re-establish the species through cloning. 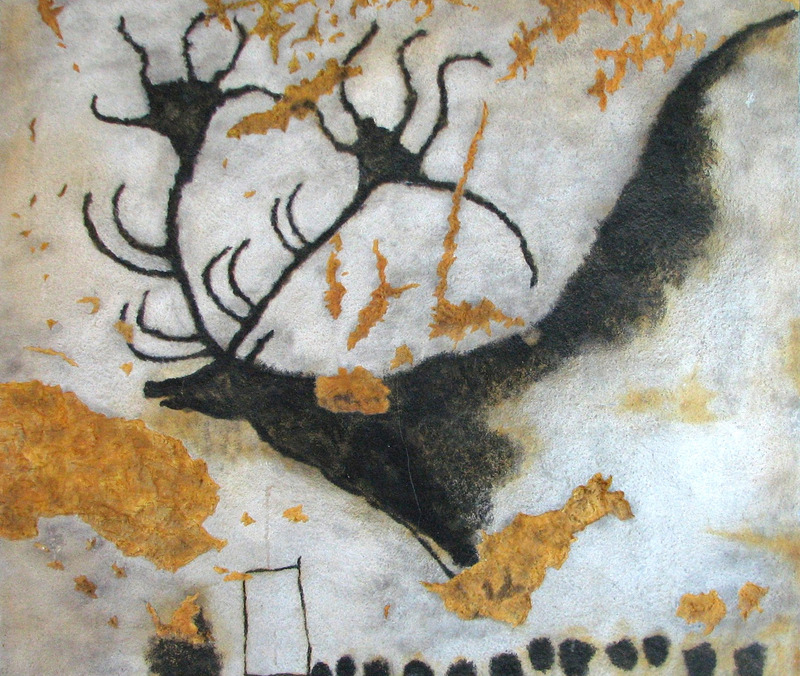 And others, too: Mammoths maybe, and Sabre-Toothed Tigers. So, one day, our view from Nead an Iolair could be enhanced by a herd of grazing Giant Elks.